The College of Engineering and the Computer Engineering department, in conjunction with Silicon Valley businesses, offer on-site degree programs. The programs are offered as a cohort where all students take the same classes on an accelerated schedule that is tailored to the working student. One example is the IBM Cohort 2, MS Software Engineering, degree program now in progress at IBM's Silicon Valley Labs in South San Jose. IBM Cohort 2 is the second cohort of a joint program between the Computer Engineering Department, the College of Engineering, and IBM. 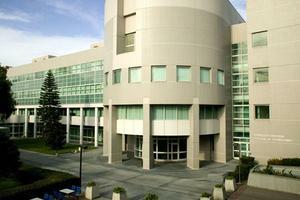 The program is held at IBM Silicon Valley Laboratories, 555 Bailey Ave. San Jose, CA 95141. Program participants are from various IBM organizations throughout Silicon Valley including Silicon Valley labs, Tivoli, Rational Software, and Global Services. The program is a two year program and participants receive a MS Software Engineering degree.